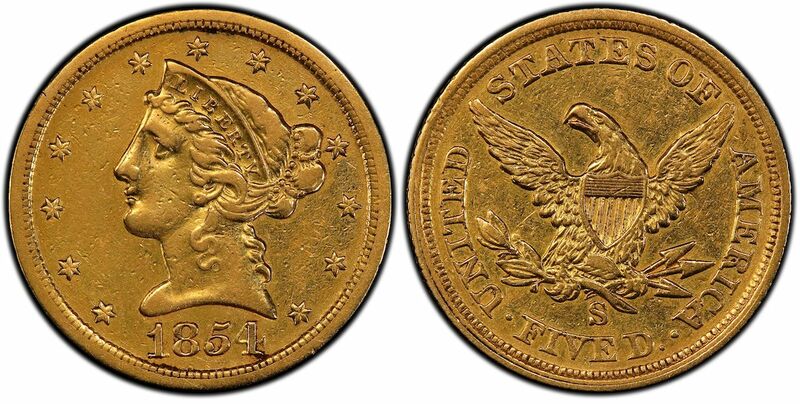 (Santa Ana, California) October 30, 2018 – The fourth known 1854 San Francisco Mint Liberty Head Half Eagle, discovered earlier this year and subsequently sold at auction this past August for more than $2 million, now is in a Professional Coin Grading Service (www.PCGS.com) holder. 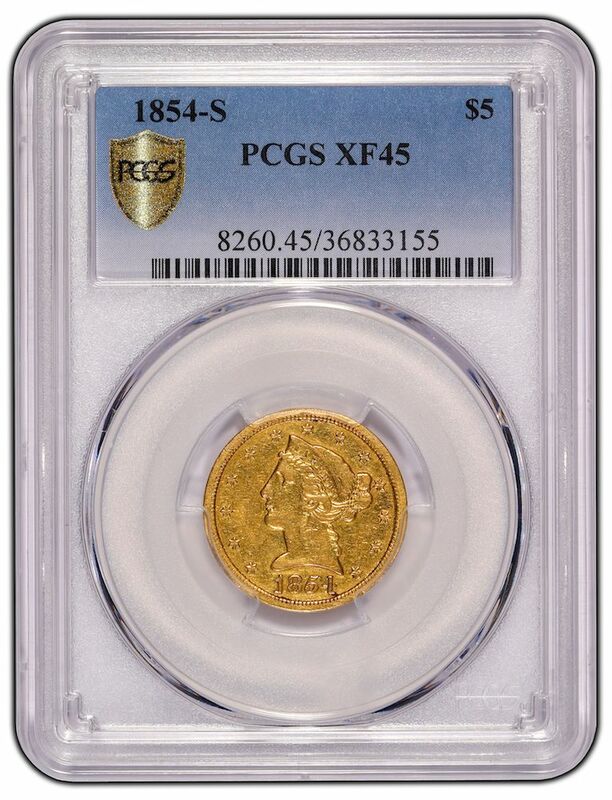 The current owner took the coin to the Baltimore Winter Expo to submit to PCGS, which was running their popular Crossover Special, and the historic coin today is encapsulated as PCGS XF-45. “This underscores what we’ve been saying for years: the best coins always end up in PCGS holders because collectors and dealers know that PCGS certification helps maximize the value, liquidity, and security of their coins,” stated PCGS President Don Willis. “This is a national numismatic treasure from the height of the California Gold Rush, and I never thought I’d ever have the opportunity to acquire one! I enjoy buying major numismatic rarities, and I’m surprised, delighted and honored I’m able to own this historic coin that is among the top elite of American numismatics,” said Brian Hendelson, President of Classic Coin Company in Bridgewater, New Jersey, who submitted the coin to PCGS. “Of the four known surviving examples from a small mintage of only 268 1854-S Half Eagles, one is in the Smithsonian’s National Numismatic Collection, another is in a private collection in Texas, and the third has been missing since it was stolen in Florida in 1967. There are several options now for this fourth coin, including possibly being loaned to a museum or exhibited elsewhere, or placing it in the right collection,” explained Hendelson. This fourth example of an 1854-S $5 was first reported in early 2018 by a New England resident who wants to remain anonymous. It was acquired by Hendelson for $2,160,000 this past August when it was offered by Heritage Auctions. “Buyers and sellers trust the PCGS brand. Each of our holders has covert and overt security features, and is virtually impossible to replicate providing collectors and dealers with anti-counterfeiting as well as environmental protection for their PCGS-certified and encapsulated coins,” Willis stated. Since its founding in 1986, PCGS experts have certified over 40 million coins with a total market value of over $34 billion. For information about PCGS products and services, including how to submit your coins for authentication and grading, visit www.PCGS.com or call PCGS Customer Service at (800) 447-8848.